Rome 2 - new Campaign Pack "The Rise of the Republic"
Thread: Rome 2 - new Campaign Pack "The Rise of the Republic"
Apart from the Free-LC, the historical new content team is also developing a campaign pack set in a specific location and time period. 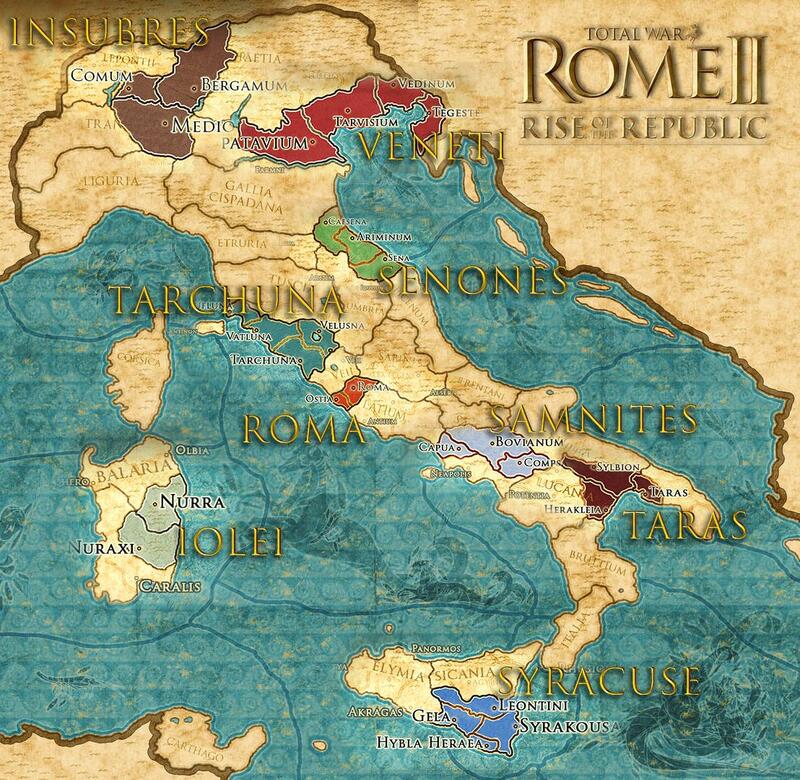 This particular combination of time and space has barely been touched by ROME II’s current content and comes with a very detailed new campaign map, brand new units, and factions familiar and new. 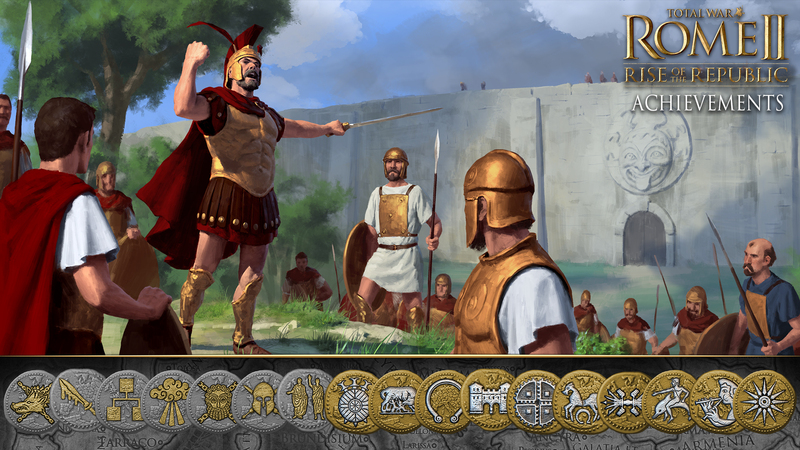 There are also a number of new gameplay mechanics that aim to explore other ways of conducting total war in ROME II. The year is 399 BC, and Rome is poised for greatness. 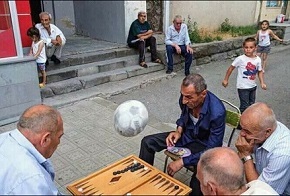 However, its very existence balances on a knife-edge. The Gallic Senones tribe, led by chieftain Brennus, are newly settled in eastern Italy. Ambitious and fierce, they are but a javelin-throw from the nascent republic. The tyrannical Dionysius rules Syracuse with an iron fist. He leads the war against Carthage, but his eyes range across the Mediterranean as he considers future conquests. Under the guiding hand of the great philosopher-statesman Archytas, Taras in southern Italy is reaching the zenith of its glory and power. Rome’s meteoric rise is cause for concern, to be sure – perhaps an intervention is merited? Meanwhile, Marcus Furius Camillus seeks the title and powers of Dictator. His vision for Rome is grand indeed, but can it survive the designs of the young republic’s neighbours? A crossroads in history: a time of threat – and of opportunity. A time for the republic to rise. Total War: ROME II – Rise of the Republic is a thrilling new campaign pack charting the events surrounding Rome in the 4th century BC. The campaign unfolds across a detailed map of Italy including Sicily, Sardinia, Corsica and Carthage, and depicts the tumultuous events which ultimately set the stage for the Second Founding of Rome. 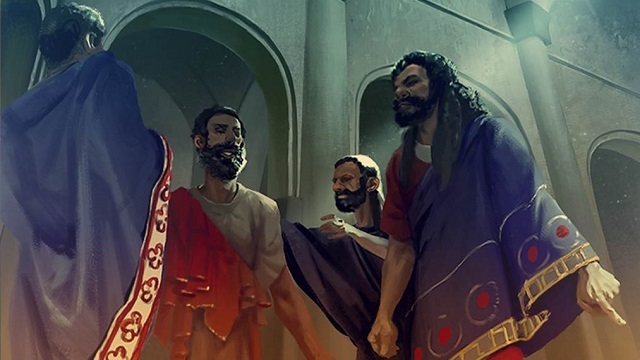 Region specific dilemma systems – depending on the regions you control dilemmas related to Carthage or Massalia might spawn. Chapter objectives are also faction specific and are a way to unlock agents. Rome often is forced deal with domestic trouble that result in plebeians or patricians being happy or enraged. Greek factions can influence the struggle of the Greek poleis back in Hellas. Last edited by KLAssurbanipal; 07-24-2018 at 23:29. Re: Rome 2 - new Campaign Pack comfirmed! To me sounds a lot like Roman rise & conquest of Italy on a big zoom in on Italy, a bit of transalpine Gaul, Epirus & Sicily would enable to include Gallic & Pyrrus invasions + maybe 1st Punic war. But the image seems distinctly Eastern -> Mithradatic wars, Diadochi or Alexander campaign?. A Rise of Persia could be really neat too. OOh if thats Etruscans then Rise of Rome/Conquest of Italy is definitely on. Period is 'barely touched on' by the Tutorial campaign & first few turns of a Rome Grand Campaign. Lots of interesting possibilities there. Older style Roman army including Hastati actually equipped with Hasta! Last edited by hoom; 06-15-2018 at 10:05. Video of a tree in apparently desert. Implies possibly Family Trees (which I'm not nearly as interested in as some people seem to be) but desert in a Rise of Rome context would have to be Regulus' invasion of North Africa which means 1st Punic War as a major part. Apparently thats a quote from Seneca which would be an appropriate timeline for Mithridatic wars. Should find out shortly, supposed to be a beta on 12th and we're nearly 24hrs from that post. New DLC not announced yet. Edit2: I think campaign map camera zoom limits have been increased, both in & out. MSAA kills my campaign fps, MLAA seems to work fine anyway. Armies have Yellow movement, Red influence & a dark reinforcement area, still gets the yellow reinforcement arrows for confirmation. Campaign map looks better, seems to more clearly show climate differences. Haven't looked into the actual effects yet but I like that the new Skill interface lets you see the T2/3 improvements it is a little more visually busy but I think the upside is stronger. Edit3: played a couple of battles, terrain was loking very good, possibly to do with that particular location (Sparta & beside it). Camera zoom limit changes affect battle too (both campaign & battle limits can be toggled in Controls). Defensive siege AI may have been trying to pull off a tactical retreat, just got their backs turned into pin-cushions though (my Armenian army composition is pretty archer heavy). Some routing units rallied in the town center and came back, did run away when they Broke. Missile units (archers & horse archers) had skirmish disabled by default, its good for archers the way I use them but not for horse archers. One thing I really would like to see them fix is having units with skirmish enabled attempt to return to original position as they did in earlier games, its important for making horse archers really effective. Last edited by hoom; 07-12-2018 at 18:00. Since the reveal of the Etruscans, there's no need for speculation, we know it will concern 4th century Italy. Anyway, from the data found in the files, it's confirmed. We talk about 390's Italy, with Etruscans, Gauls, Romans and Greeks as playable. Yeah they've found the map, its Italy, Sardinia, Corsica, Sicily & a limited area around Carthage. So there is gonna be Sicilian wars, spawning trans-alpine Gaul invasions & Ilyrian Pirates, Syracuse has a colonisation mechanic. If it gets as far as 1st Punic there is Pyrrhus invasion first. Last edited by hoom; 07-13-2018 at 12:46. Makes sense with focus on Italy I guess. While start date is 399BC, unless Rome victory conditions are far short of full control of Italy I think its going to cover a much longer timespan than most Campaigns -> not 4tpy, maybe even 1tpy. Last edited by hoom; 07-20-2018 at 04:06. Guess who cannot into Latin! Last edited by hoom; 07-28-2018 at 02:28. Last edited by KLAssurbanipal; 08-02-2018 at 13:04. Re: Rome 2 - new Campaign Pack "The Rise of the Republic"
Some known bugs they intend to fix in hotfix apparently. Started a bit on hard with Tarus, the Venetians and somewhat more with Syracus. So far the feeling is right, even if I don't share quite a few historic choices. The Gallic tribes lack a bit of an Italic flavor, the Samnite Rooster is limited and lacks javelins and the Etruscans shouted Roma invicta when I gave a command. More choice like Carthage, another Etruscan faction plus the Ligurians and Raetians would have been welcomed. The gameplay is RTWII and so far I have not encountered big bugs. The AI is as usual stupid when defending minor settlement, enabling one to destroy unit after unit piecemeal with 8-10 slingers without suffering casualities. The campaign offers through settlements I guess plenty of regional units which complement sometime your own very nicely. Unit upgrades like iron smiths or horses are finally global, hopefully we will see that more. Carhago itself offers with it's harbour a stunning 2000 in wealth plus a 100% bonus on seatrade which enabled me to double my net earnings. "Silent enim leges inter arma - For among arms, the laws fall mute"
CA rep says another patch also on the way. if you guys really want to taste the fun of "the rise of rome"? you can try "LEGION GOLD EDITION""s"rise of rome" campaign...it is good!!! and fun!! !there are plenty beautiful ancient rome's units in there!!! Some good fixes there importantly including ships failing to dock for unloading.